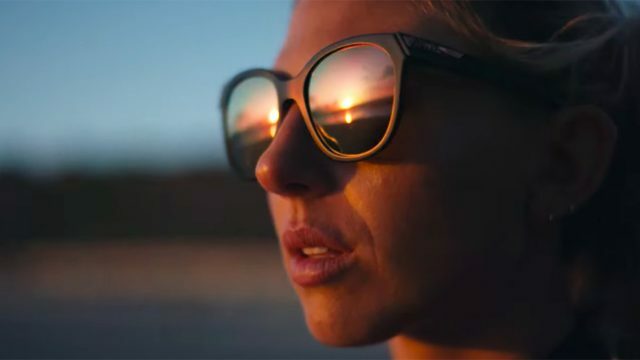 How can brands on Facebook reach people during the summer, when they are less likely to be in front of their computer screens or television sets and more apt to be out and about? The social network reminded marketers in a post on its Facebook for Business page that no matter where people are enjoying the warm weather, their mobile phones are likely with them. The Fourth of July was mentioned 27 percent more. Travel was mentioned 16 percent more. Summer sales were mentioned 27 percent more. In Canada, the summer experience is all about long weekends, trips to the cottage, and beer, and Canadians are also taking to Facebook to share their summer stories. Overall mentions of travel and Canada Day each increased by 22 percent in 2013 compared to the year before, while weekly chatter about beer and the lake peaked on Sundays. 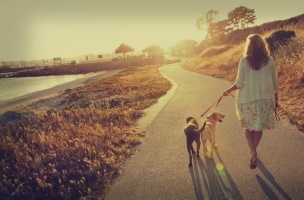 Summer sales: Engage with people on-the-go or spending time outdoors to take advantage of your summer sales. Reach the right people with the right messages, like women 18 through 24 for a sale on sundresses, with targeting and audience insights. Personalized creative: Be at the center of celebrations and outdoor activities by preparing creative that responds to current events. For instance, build awareness among soccer fans by preparing creative for the big soccer event in Brazil, or tailor your message to other key summer moments like the Fourth of July and weekend BBQs. Vacation time: Help people who are on vacation by informing them of shopping or activities in the city they are visiting by using the “currently traveling” targeting category. Influence families who are about to travel with messages about key vacation needs, including sunscreen, clothing, and special offers, with the “about to travel” category. 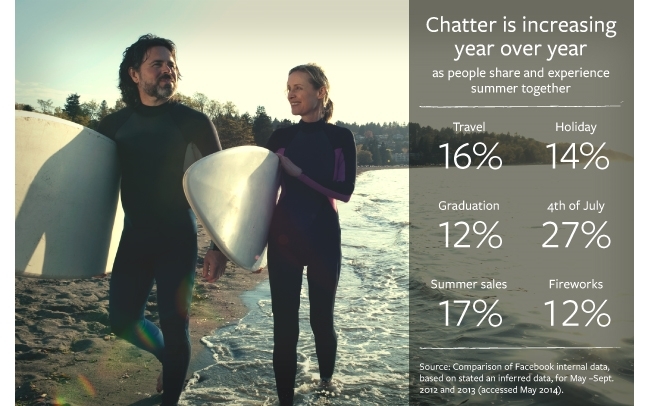 Marketers: Are your summer Facebook campaigns heating up?